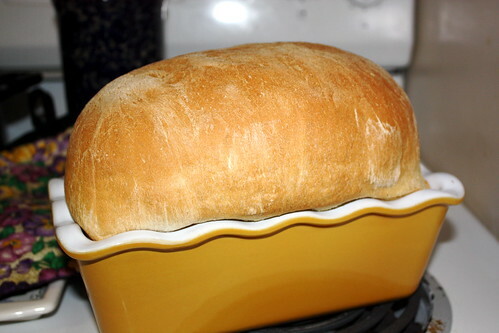 The first loaf of bread from my new Emile Henry Auberge Ruffled Loaf Pan from Andrew. See the Williams-Sonoma page for details. Today's loaf came out better.